Would Beinart have supported the Klan in 1964? Beinart: not just entirely wrong but an obscene inversion of reality. 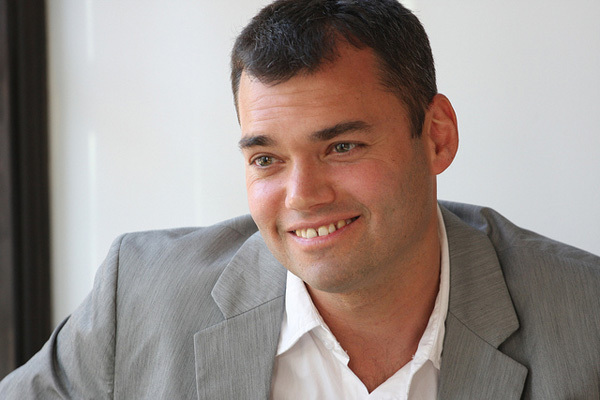 It’s hard to find words to describe Peter Beinart. I’d write that I wonder how he sleeps at night, if it weren’t for the fact that his egotism and self-satisfaction come through so clearly in his writing that I would guess that he sleeps just fine. It’s time for American Jews who support Israel but oppose the occupation to commit to large-scale, direct action of our own. And the most important place to do so is in the West Bank. Palestinians in villages like Bil’in and Nabi Saleh have been protesting, unarmed, for years against the theft of their land. But their efforts receive little attention in American Jewish circles or in the American press. Few American Jews have any idea that under the military law that governs Palestinians in the West Bank, Israel routinely criminalizes freedom of speech and assembly. Or that peaceful protesters can be held in detention for years without trial. But if thousands of American Jews joined those protests, American Jews would know. Protesters would return home with videos to show their synagogues; hawkish parents would be appalled by the treatment meted out to their children. And the American media, which covers Jews far more intensively than it covers Palestinians, would follow. The model would be Freedom Summer, Robert Moses’ campaign to bring white college students to help register voters in Mississippi in 1964, and thus draw the nation’s eyes to oppression that garnered little media attention when practiced only against blacks. The ‘peaceful protests’ that Beinart refers to center around attempts to destroy the security barrier that protects Israel against the infiltration of terrorists, as occurred during the Second Intifada when hundreds of Israelis were murdered by suicide bombers. They have a secondary purpose of trying to provoke police and soldiers into responses that can be used as weapons in the propaganda and legal wars being waged against Israel. The idea that the Palestinian national movement, whose objective is the destruction of Israel and the murder or expulsion of its Jewish residents, is anything like the US civil rights movements of the 1960s is not just entirely wrong but an obscene inversion of reality. To Beinart’s rejoinder that I see Palestinians only as “haters and killers” and not as human beings, that is insultingly false. But the political movement and ideology that Beinart wants us to support is one of hating and killing. On a personal note, a good friend of mine was murdered by racists in Mississippi in the Freedom Summer of 1964. His efforts and those of so many in that movement were not only well-intentioned, but had a profoundly positive effect. Racism is not wholly gone in America, but anyone, black or white, who lived before that period knows what was accomplished. Beinart, on the other hand, advocates volunteering for exactly the opposite kind of movement, one based on racism and intolerance and which glorifies violence and murder. Who knows, maybe in 1964 he would have urged American Jews to go to Mississippi to help out the Klan! 2 Responses to Would Beinart have supported the Klan in 1964? Peter Beinart assumes Arab resentment and hate of Israel is caused by Israel policies and actions. In fact, its the exact opposite. Arabs resent and hate Israel because it exists as a Jewish State not as a result of anything Israel does. Israel cannot remove Arab enmity except by ceasing to exist. There is no non-violent way for Israel to make that happen. And the Arab struggle against Israel is not a demand for civil rights and justice but to make it easier for them to kill as many Jews as possible to eliminate Israel. This is where Beinart profoundly misreads and fails to grasp the reality of the Middle East. Peace is impossible because Israel confronts an adversary committed to its destruction and its unwilling to meet Israel half way, except where the situation demands a pause in its war against Israel, purely for reasons of expediency. In other words, the core of the conflict is good vs evil and no true meeting of the minds is possible, any more than its possible between a persecuted black person in the 1960s and an implacable white racist. Jewish guilt of the kind personified by Beinart and his ilk, will not produce real peace in the Middle East any time soon. Beinart is contemptible not simply for falsifying the reality of Palestinian Arab rejectionism, fanaticism and hatred but for falsifying the reality of Israel as a people and as a society. He is unfortunately one of many anti- Jewish and anti- Israel Jews spouting off these days. These people are annoying but I am not sure that they are dangerous.